A Fashion Fairytale. . Wallpaper and background images in the 바비 영화 club. I know I wasn't too excited for the movie when I first heard of it, and now it's all I think about! Maybe it will be better than we think it will be. Oh I agree with previous comment! In my opinion we know too little to think that this movie is bad. I agree with you, we don't really know much about Fashion Fairytale. Who knows maybe it be like totally awesome, and we're being unreasonable to see the movie's potential. I agree with all of you girls!!! I was thinking exactly the same thing I can't wait to watch the movie!!!!! I Think it will be AWESOME!!! I can't wait to watch the movie! 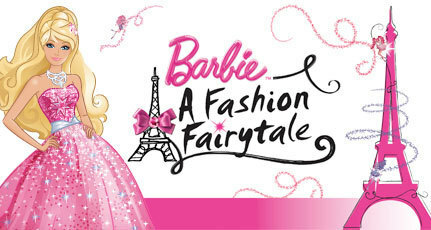 Barbie a fashion fairytale My favorite movie! It certainly looks pretty. I'll give it a chance. I will certainly watch it, but I don't think we were unreasonable to think it looked bad. The trailer did make it look bad! But who knows, maybe it will be great. I don't hold out much hope for it, though. Sorry. That's okay, and who knows maybe it will suprize us all. I was suprized with Musketeers and Mermaid Tale.